Storm data statistics from the National Oceanic and Atmospheric Administration (NOAA) reported that 20,237 significant storms were recorded in 2016, which, at the time, was the highest number in roughly three years. After last year’s hurricane season, however, business owners and homeowners around the country are even more nervous about all the oncoming hurricanes that will surely strike at some point this year. According to Fortune, after a record hurricane season last year, weather forecasters are warning U.S. citizens to brace for even more damaging storms this year. Receive Weather Alerts — You can pay attention to the weather forecasts all you want but it’s imperative to receive immediate weather alerts if you live in an at-risk area of the country. 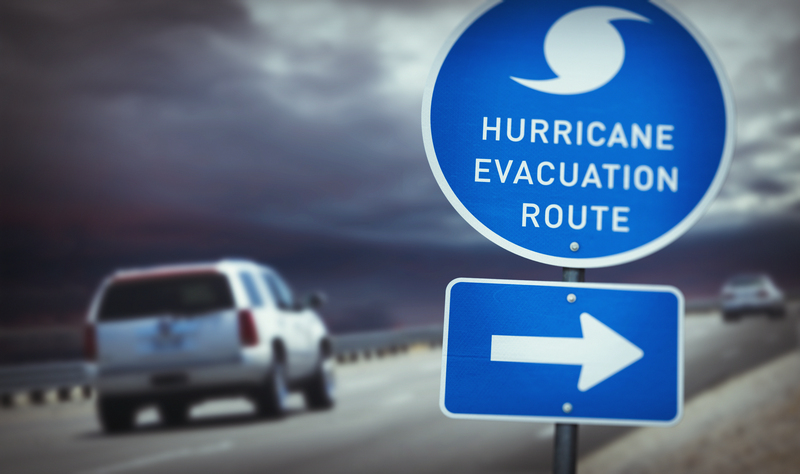 Plan an Exit Strategy — Make sure you and your family are prepared for any major storm this year by developing a thorough evacuation plan. There will likely be state and local evacuation plans you must adhere to, but having your own personal strategy is important as well. Retrofit Your Home — By working with skilled general contractors, you can have your home retrofitted in order to prevent severe hurricane damage. Unless you know exactly what you’re doing in order to retrofit your property, you should be working with professional contractors in order to perform roof repair jobs, secure your home from high winds, and prevent water damage. Stay safe throughout the upcoming hurricane season and take care of your home and your family by any means necessary. If you’re in need of professional roofing contractors who can address and repair major hurricane damage, give Triad a call right away.